When I was three, my mum ran a chalet in Verbier, cooking and cleaning and helping out the guests. 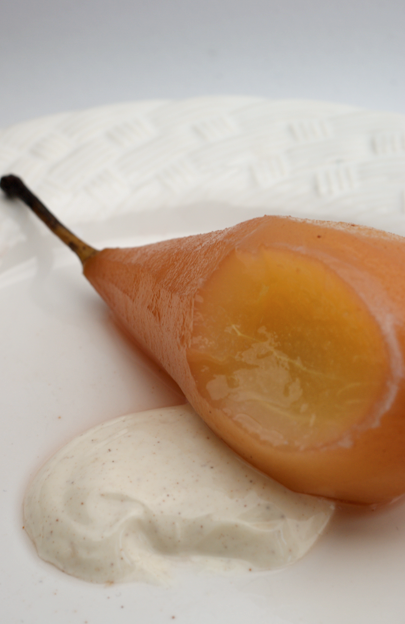 One of the desserts she used to serve was pears poached in red wine. I'm not quite sure how I remember this - perhaps one of those things you're told so many times you can't tell what is memory and what is the story - but I thought they were beautiful. 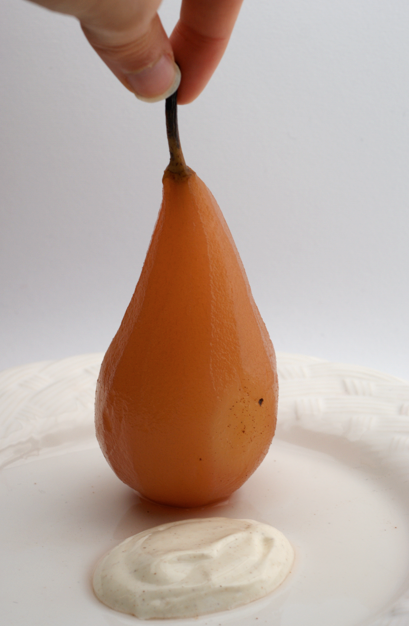 And, as we know, I love pears. 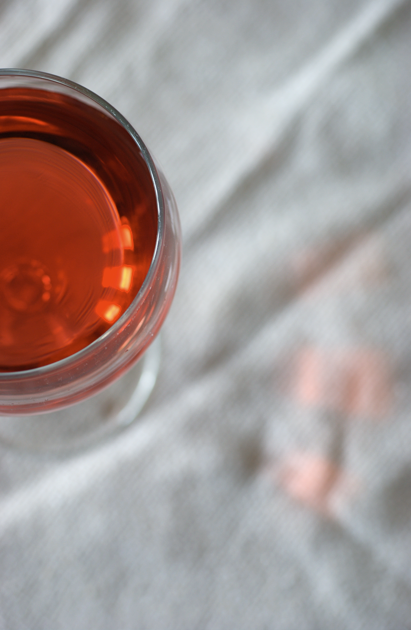 Rather than use red wine, I decided to use rosé. Partly because I thought the pears might go a pretty pink, partly because I don't like drinking red wine, and partly because that's what we had sitting in the fridge. (I do hope nobody is going to come and claim it as theirs as I don't have a clue why it was there...). Another time I think I will boil it a bit first as it was a bit too strongly alcoholic for my taste and such a low heat doesn't burn any off. I'm not particularly pleased with the photos for this post - the light was acting up. I still wanted to share the recipe, though, so here they are. I do like how you can see the three windows of my sitting room in the glass and reflected onto the tablecloth in the photo above. I served these with a few tablespoons of greek yogurt mixed with a bit of sugar and cinnamon which was lovely. 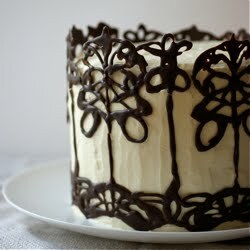 Mascarpone would also be nice, or just double cream. The pears completely refused to stand upright and look pretty. Holding them up isn't very practical, annoyingly. 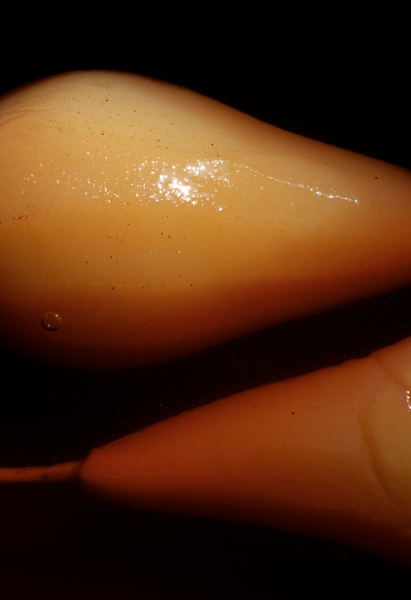 The pears have a lovely softness when poached - they're so tender. The spoon just slices through. I've done these without wine at all before - I just poached them in a sugar syrup with extra spices, which is a really lovely non-alcoholic option. no matter what you say, I still think your photos are just as beautiful as always! 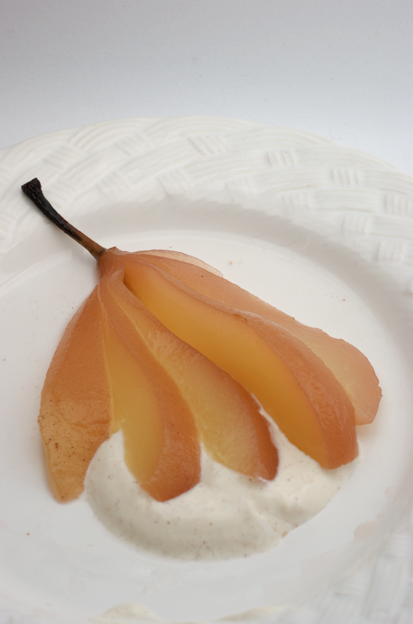 I have never had a poached pear, but I'd certainly like to try one! 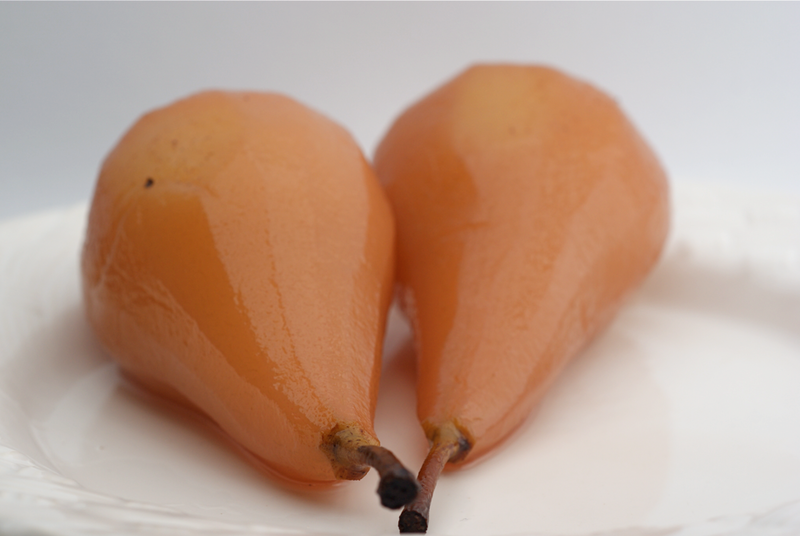 I have been wanting to make poached pears and am happy to have your recipe. And rose is a brilliant idea...the color is perfection. 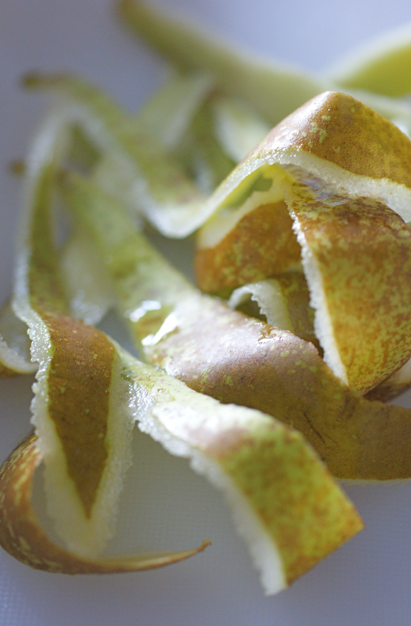 Don't be down about the photos: they were charming as always, especially the pile of peels.